I recently wrote an article about Carleton Mitchell for our yacht club magazine. He was one of the preeminent ocean racers of the post-war sailing world, remembered as one of the best ocean racers of his generation. A long-time resident of Annapolis, he was known for his preparedness and absolute attention to detail. Mitchell is best remembered as the only skipper ever to win three consecutive Bermuda races in the same boat, a 635-mile ocean race from Newport to Bermuda. His first win was in 1956, beating a fleet of larger, faster boats on corrected time with his 38-foot Finisterre. His second win in 1958 was incredible in that he beat a fleet of 130 boats. And in 1960, he won a third time, proving it was no fluke or simple luck. 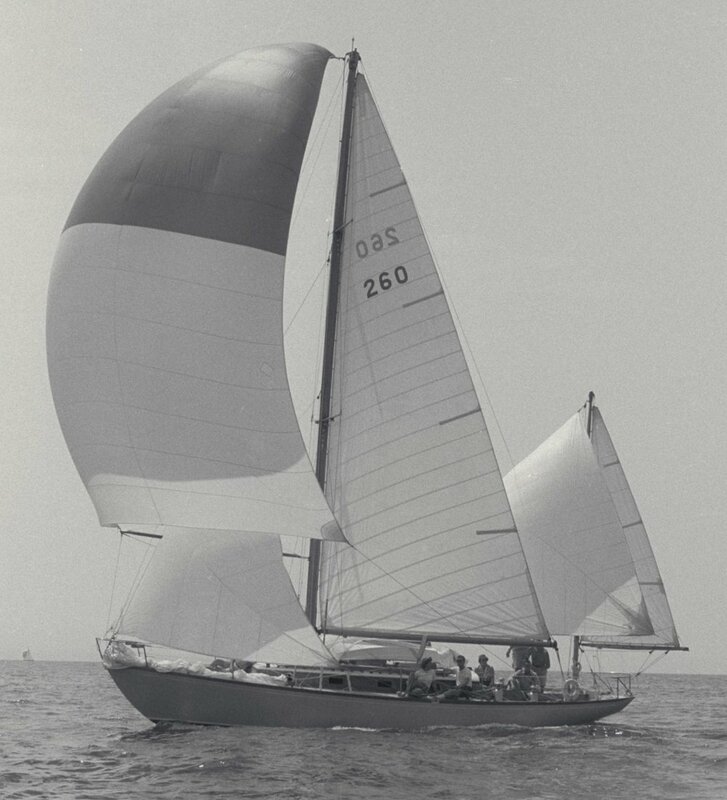 Finisterre was designed specifically for Mitchell as a cruising boat by Sparkman and Stevens, and it was to become one of the most significant sailing yacht designs of the 20th century. But it was way more than the boat that gave him three consecutive victories. It was his outstanding preparedness and taking care of even the smallest of details. One journalist noted the general chaos of last-minute activity everywhere on the Newport docks in the days before the start of the race…with the sole exception of Finisterre, sitting quietly in her slip, everything neatly folded and coiled, totally prepared. Such preparation was the hallmark of Carleton Mitchell. He also took great pains to learn from every mistake, carefully analyzing what went wrong, the mistakes and bad decisions. He carefully wrote his conclusions in a notebook, which helped guide him to victory. I presented those maxims in my article, as they are as valid today as they were years ago. “Here we are, nine men, driving a fragile complex of wood, metal and cloth through driving rain and building sea, a thousand miles from the nearest harbor; no one to see or admire or applaud; no one to help if our temerity ends in disaster. We are driven by our own compulsions, each personal and secret, so nebulous we probably could not express them to our mates if we tried. But in our own way, we are about as dedicated as it is possible for men to be. Carleton Mitchell was also an avid cruiser, and he once remarked that he cruised 10 miles for every mile of racing. He bought a Grand Banks 42 trawler in the ‘60s and later introduced many to the benefits and comforts of a modern trawler by writing six books of his travels. He owned several more larger trawler yachts in his life, and lived on a houseboat in his later years. He passed away in 2007 at the age of 96. I would have liked to have met Carleton Mitchell. The head of Mystic Seaport Museum’s Collections and Resources told me she worked many years with “Mitch,” as they processed his large collection of files and photography donated to the Museum. She said he was a real gentlemen and a great guy. Have a great week, everyone, and let the holiday season begin!